If you’ve ever walked in our doors, you’ve seen the gorgeous waterfall flowing gently in the lobby. Maybe you’ve posed for a shot in front of “Paskwamostos”, the 12-foot stainless-steel bison that stands guard over the River Valley. Or, perhaps you’ve puzzled at the colourful “DREAM. Big” plaza on Jasper Avenue. Located throughout the convention centre and our surrounding area, over 95 pieces of artwork of all mediums, shapes and sizes stands ready to steal your attention and spark up a conversation. But when it comes to the Edmonton Convention Centre’s artwork, there’s a whole lot more to these flourishes of colour and splashes of inspiration than meets the eye. Woven into every tapestry, molded into each enormous sculpture and hidden behind all those dribbles of paint are the stories of Edmontonians from virtually every walk of life. In fact, the art really isn’t ours at all – it’s yours. This is a collaborative art show – a place where the creativity of an entire city is on display and everyone has a chance to be a part of it. 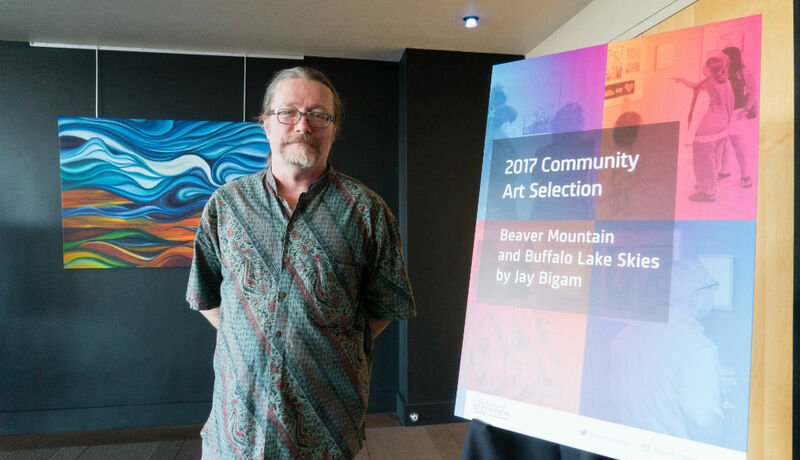 The convention centre’s current art program grew out of random acts of inspiration – kind donations from community groups dating over 20 years back – into the more formalized programs we have today. Art is a conversation with our community. Take, for example, the pARTnership program. Every year. the public and Catholic school boards partner together with us to curate hundreds of student-created pieces for a one-of-a-kind showcase. Around 45 from each school board are chosen to be displayed in the convention center’s highest traffic areas, where over half a million visitors will have a chance to marvel at the creativity of our city’s young and aspiring artists. 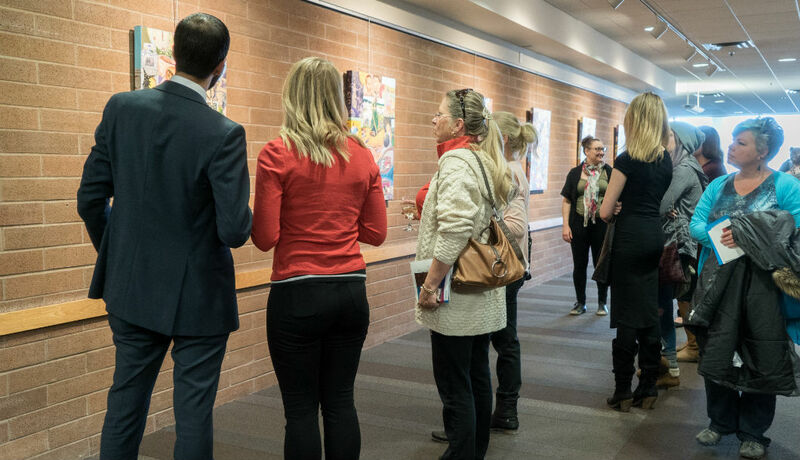 In 2016 we were thrilled to celebrate the seventh anniversary of this program, an occasion marked by party thrown for over 250 parents, teachers and students whose artwork will bring life to our hallways for the coming year. In 2017, we also launched our Community Art program. It all started with an open call for local artists, of which over 160 submissions were received from 60 artists. 14 pieces from five local artists are currently being exhibited at our venue over the next year. They were officially unveiled during the first annual Art Night at the Edmonton Convention Centre, where all artists who made submissions were also welcomed back to sell their work. Edmonton’s convention centre was transformed into an art gallery for an evening, and 250 guests took in a fabulous evening of art, food and cocktails. Acclaimed artists have a home here, too! From budding students to renowned artists, we take pride in giving local talent a stage to showcase their work. 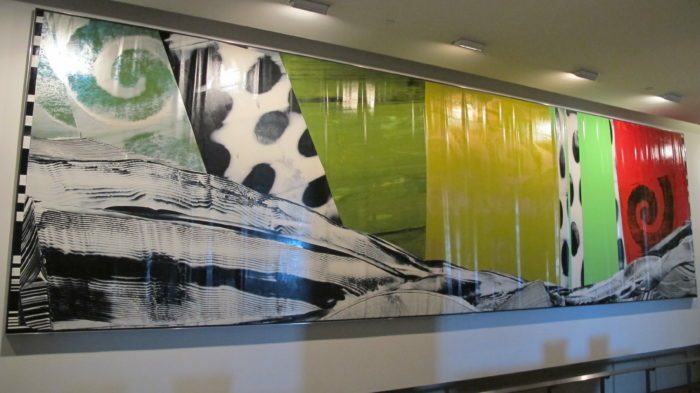 Sometimes that stage is enormous – for example, the three gigantic murals that adorn the walls of Hall D, an homage to the North Saskatchewan River by beloved Alberta artist Clay Ellis. 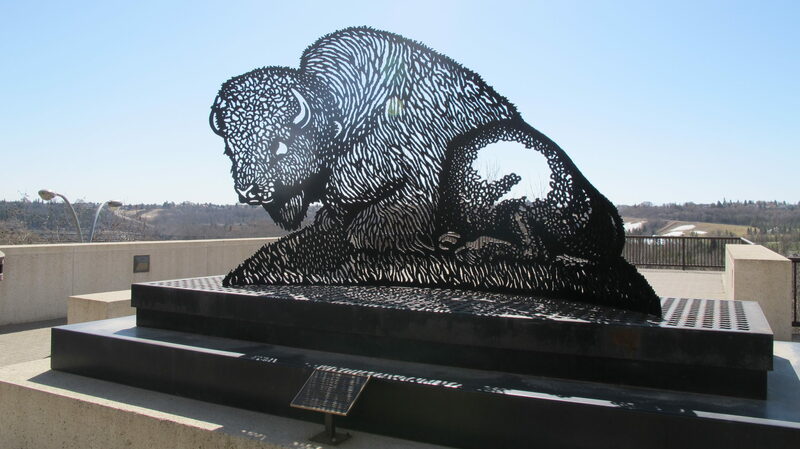 Or, consider the towering 12-foot bison crafted by international Canadian sculptor Joe Fafard, and now peched outside overlooking the river valley vistas. Year-round, we see locals and jet-setting tourists alike stopping to snap a photo or pose for a memento in front of these works, taking a piece of Alberta home with them. As a community, our artwork tells our story. We share memories and condolences – like the Inukshuk erected in memory of David Kootook, a man whose bravery helped save the life of a medivac pilot in Yellowknife while costing him his own. Part memorial, part art installation, this wonderful monument by Edmonton artist Wayne McKenzie stands as a remind of the values we all share. The “DREAM. Big” plaza, created by Donald Moar, celebrates contemporary artistic excellence while also putting our city’s passion for culture, beauty and innovation in plain sight for the world to see. Next time you come through, whether for an event or just crossing through on your way to the River Valley, we invite you to stop and stare for awhile. Walking tour booklets can also be obtained at our administration office.